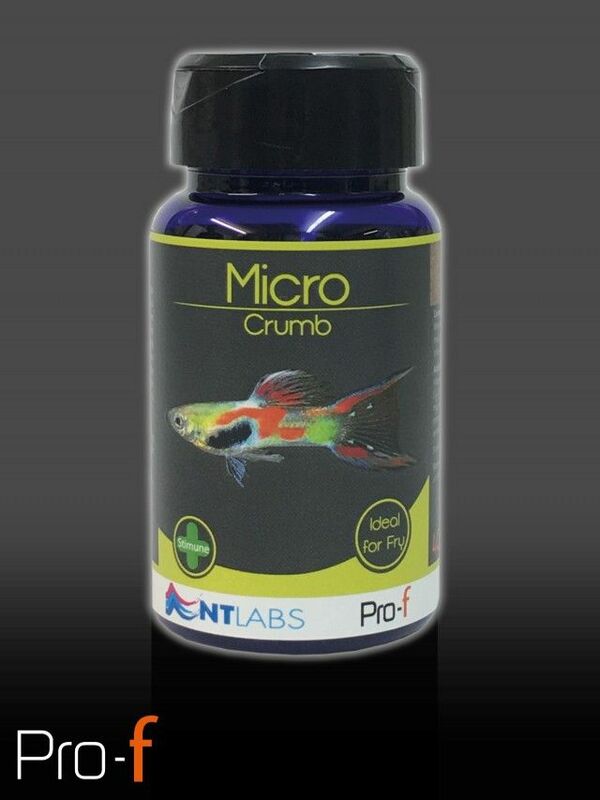 NT Labs Pro-f Micro Crumb is suitable for the smallest of fish with tiny mouths such as Microrasboras, Endler guppies & tetra species and is ideal for the fry of both egg-layers and live-bearers. 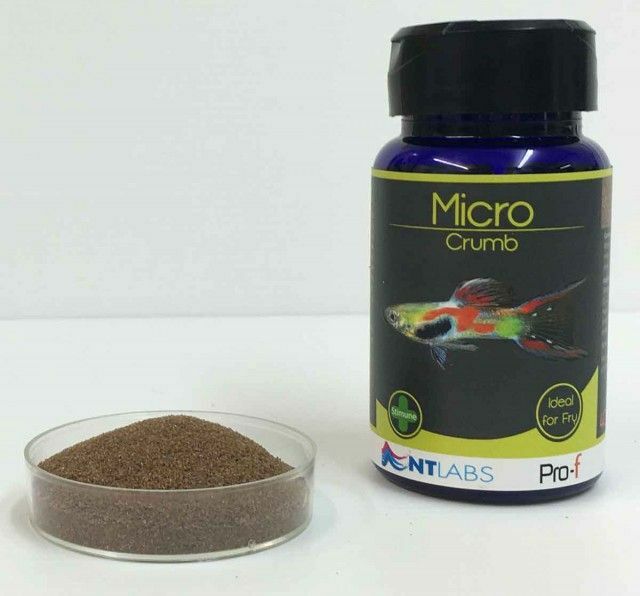 Micro Crumb has been formulated to provide the exact, rich, high energy nutrition required by rapidly growing juvenile fish. Having the best balanced diet from the start ensures healthy development and with the inclusion of "Stimune" will help provide your fish with strong disease resistance ensuring a high survival rate in baby fish. Wheat, fish meal, poultry meal, haemoglobin powder, soya, lecithin, yeast. Protein 47%, Oil 9%, Ash 9.9%, Fibre 1.3%. Vitamins per kg: A 14,000 IU, D3 2,150 IU, E 280 mg, C 500 mg, minerals.